Call or WhatsApp us on 9820850475 for details. Almost anyone can learn Reiki in a couple of hours and start to alleviate stress and induce relaxation. Reiki helps in maintaining a healthy body and mind for those who are healthy. And Reiki helps people who are ill, in regaining good health. Reiki also help people to overcome the side effects of drugs and chemotherapy. People who take Reiki classes in Mumbai have a variety of goals in their mind. What ever is your goal, Reiki can help you. Although, you can not see Reiki energy, just as you can not see electricity but you can feel the effects of this subtle spiritual healing energy. I just finished the Reiki 2nd degree training yesterday. It was amazing to see students release things that they have been holding for years in a matter of few minutes and feel more wholesome and happy. I love doing this work because I not only get to make a difference to my students but also to people in their circle, through them. Today I have started the preparation for the upcoming Reiki Level 1 class. 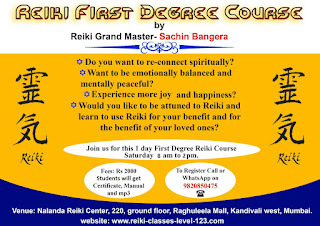 I have scheduled it on Saturday at Nalanda Reiki Center, Mumbai. This is for people who find it time only during the weekend. You are welcome if you think that now is the time for you do finally learn Reiki. If you are reading this then probably you were meant to read it. Nothing happens by chance. Coincidence happens for a reason. 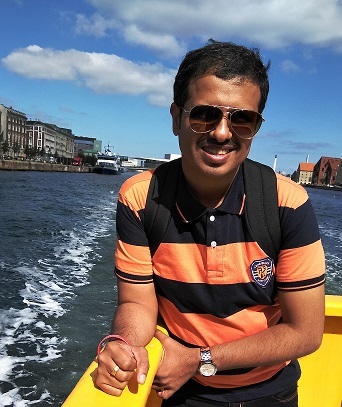 Once you complete the Reiki class you can come to Nalanda Reiki Center to refresh the course any time in future. In fact anyone who has received Reiki attunement earlier from a Reiki Master from any lineages who would like to refresh the course can join us. Practice Reiki in a supportive environment. Experience the joy of giving and Receiving Reiki. 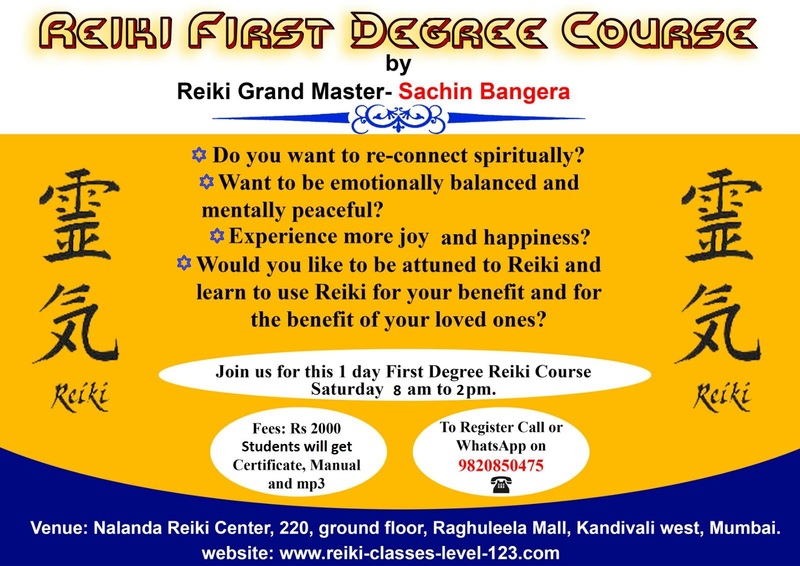 To register for Reiki classes in Mumbai you can call us or whatsapp us on 9820850475.